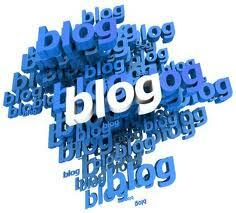 Why should Allied Health Professionals (AHPs) read this blog or contribute to it? Indeed why would someone with a dementia or their family want to read the blog either? The subheading to the blog is “Never in the history of mankind did not talking about something scary make it disappear”. The very essence of this blog therefore is to talk about dementia, to share insights, experience and knowledge as well as to suggest options and opportunities for the future, the same ethos of understanding is therefore key to answering the question. The blog’s primary focus is on the role of the AHPs in dementia care. 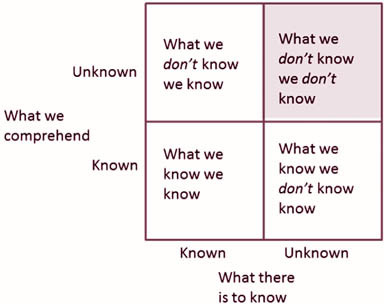 Donald Rumsfeld somewhat (in)famously made his ‘unknown unknowns’ speech in 2002 – this weekly blog is addressing some of our ‘unknown unknowns’ in relation to dementia and the role of the AHP. Jacqui Lundy Johnston in week two of the blog explained a little about what (or who) are AHPs. In the weeks since various allied health professions have featured in the blog. Knowledge about the role of the AHP won’t magically enter the consciousness of people (other clinicians or the wider population), we each have to play our professional role in spreading the message – within the current climate of integration there has never been a more opportune or important time to share that information. Firstly let’s explore a little bit of background to social media use. Some figures from a recent study from the University of Pennsylvania, show only 14% of health policy researchers report using Twitter, 20% using blogs, and 20% using Facebook. The study lead author David Grande noted “Most health policy researchers are not using social media to communicate their research results, which could be a significant missed opportunity to expose a larger audience to important health news …… and educate more people more efficiently”. Returning to the question of why AHPs should contribute to this blog, the answer is captured above “to educate more people, more efficiently” – it could be argued that you have a professional responsibility to engage with and, where appropriate, use social media to share your expertise and knowledge, as stated by Grande to “expose a larger audience to important health news”. This blog can be an important resource in your toolbox, a place to direct people for information related to dementia and specifically the contribution that an AHP can make. In a blog on the Ayrshirehealth blog site Aileen Fyfe (an O/T) was surprised to realise that even close family members were not always fully aware of what an O/T does, or can contribute to the health, wellbeing and enablement of individuals. How many families do you think know and understand the added value of involving an occupational therapist, a speech and language therapist or a dietician in the care and treatment of their loved ones? A USA survey in 2012 found that 54% of patients were comfortable with their healthcare providers access advice from online communities. The lesson for us therefore is to make this blog a potential place (online community) to go for advice or guidance on the role of an AHP in dementia, and of course somewhere to direct families for information – that can only happen if AHPs share their expertise and then share this blog. Alzheimer Scotland has been a major driver in Scotland developing it’s dementia commitments including early diagnosis and post diagnosis support. What is the role of the AHP in delivering on these commitments? This blog is an ideal opportunity to showcase the AHP contribution now and in the future – Seize the day. Before closing I though it may help focus our minds if we can understand the potential reach and engagement of blogging. Your contribution to this blog, your direction of colleagues to the blog as a resource, your direction of people who have dementia and their families will shine a light on the undoubted contribution that AHPs can, will and do have in the lives of people with dementia. 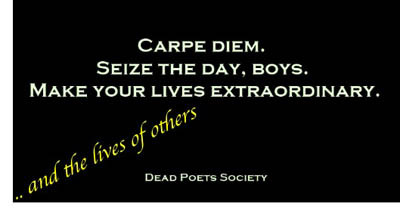 It’s over to you – will you seize the day? Associate Nurse Director, Mental Health Services and Lead Nurse, North Ayrshire Health & Social Care Partnership. Lead for Older People in Acute Hospitals and NHS Board lead for dementia. Keen interest in using social media as a professional networking and development opportunity.